The match of 1752 between Cornelius O'Callaghan and Edmund Blake is credited as being the first recorded steeplechase run in Ireland. The steeple of St.John's Church in Buttevant was the starting point, and some 4 ½ miles later over a course of natural obstacles the finish was St. Mary's Church in Doneraile. 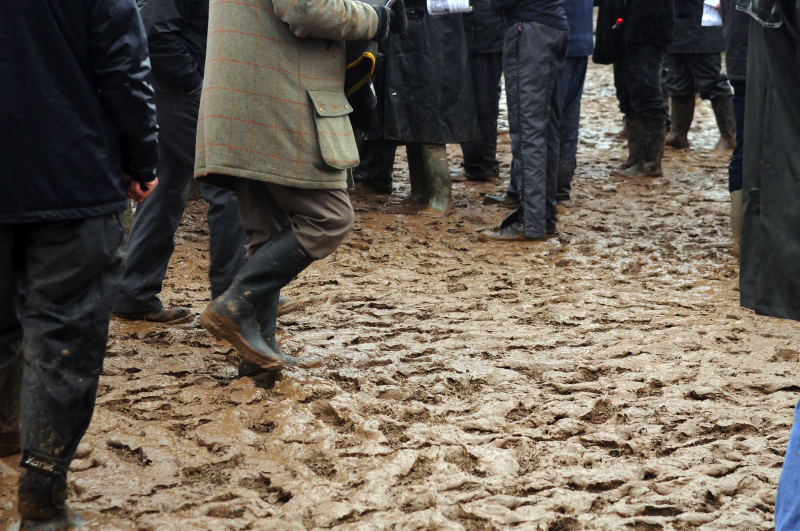 As steeplechasing become more popular during the 1800's many hunts organised their own race meetings. The Ward Union raced at Fairyhouse and the Kildare Hunt at Punchestown, both places are steeped in history, the Meath venue continues to host The Irish Grand National, and the Kildare course is famous the world over for the La Touche Cup and the Ladies Cup over the Banks course. The first official recognition of Point-To-Point races was in the National Hunt Rules of 1889, although they were staged many years earlier in both Ireland and England. These races were run under the stewardship of the Master of the Foxhounds in the area over which they hunted. In the early days they were run all the year around, over all distances, as well as on the flat and over hurdles. The 30's saw Willie Rooney, a young Welshman move to County Cork, and amazingly he rode 401 winners during his career. Both his daughters Rosemary Stewart and Ann Ferris matched the men; indeed the latter won an Irish Sweeps hurdle and an Irish National with Rosemary following in third in the same race. P.P.Hogan is acknowledged as one of the all-time greats and he dominated the riding ranks in the 40's and 50's. Bill McLernon then took over and he went on to win seven championships in the 50's and 60's. Wexford's John Berry won three championships and rode more than 300 winners, Tony Martin notched up 370, while John Queally was the leading amateur of his day and also won a jockeys championship. Enda Bolger (pictured alongside) held the record at winner number 413 until 2006 when John Thomas McNamara broke his record, when he retired in 2013 J T McNamara had recorded 602 winners. The Costello brothers, Adrian, John, Tom, Dermot and Tony also rode winners between the flags. Current stewards Paddy Graffin and Lorcan Wyer also had successful spells in the point’s field. The 1991 season saw a young Meath man shoot to prominence, Adrian Maguire, he outgunned John Berry to take the championship of that year on final days of the season in Kinsale, and he later turned professional and is acknowledged as one of the best riders ever to grace the British scene. The 2002 championship saw an epic duel between John Thomas McNamara and Davy Russell, and at the end of a hectic year they could not be separated; they both rode 56 winners each. Davy Russell is now one of the leading professional riders in Ireland and England. Croom born McNamara had no plans to join the paid ranks, and he dominated the amateur ranks for several years. John Thomas was a five-time National Champion between the flags between 1998 and 2003 and unfortunately passed away in July 2016 following a three year battle with an injury he sustained from a fall in Cheltenham in 2013. 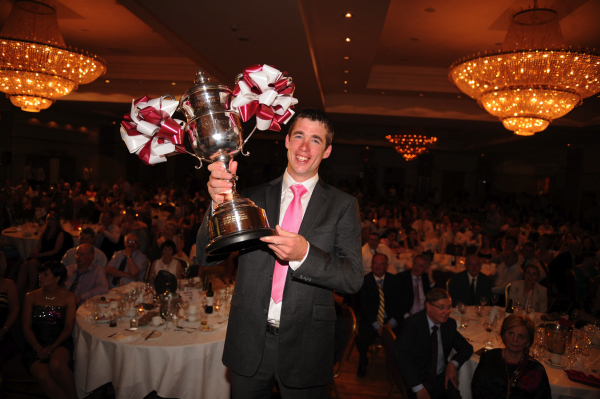 Possibly the most dominant in recent history is that of Galway rider Derek O'Connor (pictured left), since taking the novice title in 2003 and 2004 he has gone on to take the overall title every year with the exception of 2014 and 2016 when Wexford rider Jamie Codd took the honours. O'Connor set a new season’s record in 2009 when he partnered 113 winners and has ridden over 1100 winners in his career so far. 2017 saw a new name on the prestigious list of rider’s to have won the title as Barry O’Neill took the honours for the first time. 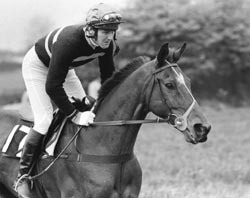 Many of National Hunts top jockeys began their careers in the pointing sphere and these include some of the top professionals such as Timmy Murphy, Davy Russell, Paul Carberry and Ruby Walsh who all rode in point-to-points in their formative years. The current crop of riders include Derek O'Connor, Jamie Codd, Barry O'Neill, Rob James, Noel McParlan, Mark O'Hare, Richie Harding, Declan Queally and many others, and it is accepted they would hold their own against the best of any era.